There is a rare opportunity coming up to participate in UK workshops with the founder of Original Play, O. Fred Donaldson in Lewes, Sussex. We are not running these events ourselves but we can't recommend them highly enough! 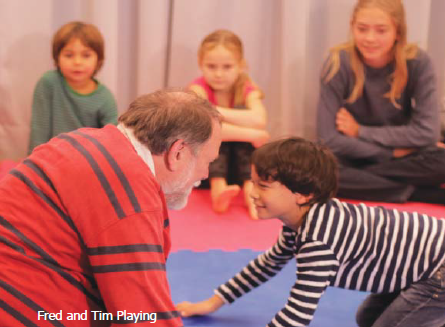 Sean and Sarah both took part in these experiential workshops last time Fred was teaching in the UK and found the weekend to be a profound and enriching experience, which taught tangible tools and ideas for playing and connecting with others of all ages. Here is a leaflet with all the information you need.